Crit Credits: Phantom Ink, Golden506, REvil432 & Omega Warhead. Special Containment Procedures: SCP-3881 is to be kept within a standard containment locker. No further containment procedures are necessary. 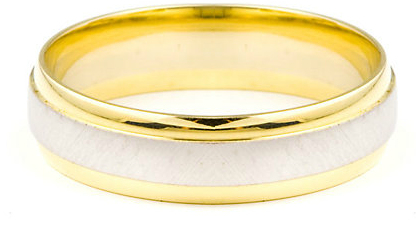 Description: SCP-3881 is a classic gold band style wedding ring with a few cosmetic alterations. When worn by a human being, SCP-3881 will immediately transport the wearer to an unknown location. Upon removal, the ring and the wearer will be returned to their previous position. The location is a clearing in a forest containing a single thatched-roof house. The house is fully furnished, well maintained and shows signs of prior use. Clothing within the house presumably belonged to an adult male, shoe-size 10, with approximately five years of disuse. SCP-3881 was discovered within a pawn shop, being pawned by a Miss Pamela Smith. ████: For the record, name and occupation. ████: Excellent, thank you. Would you mind answering a few questions about a ring you received? Smith: I'd… rather not, if that's OK. It's not a topic I like to discuss. ████: Miss Smith, this ring is essential to our investigation. Smith: Investigation? Howard's legally dead, what reason could you possibly have for an investigation? Miss Smith furrows her brow and stares at Researcher ████. Her tone has risen slightly. ████: Miss Smith, I think we may be on the wrong page. Did you ever wear the ring? Smith: What kind of a question is that? Of course I didn't. I couldn't even look at the thing. Miss Smith relaxes in her chair. Smith: I'm sorry. It's just… too much, you know? I miss him. I know it's stupid and emotional to get attached to a ring. ████: That's not true at all. We're all human. Is that why you pawned the ring? Smith: I just… always knew that it was in the house. It nagged at me. I couldn't move on while it was around, like he was waiting for me. Does that make any sense? It doesn't help that he sent me that sappy letter, either. Smith: I'll go get it if it'll help you in… whatever you're doing. ████: That would be appreciated, thank you. Addendum B: A transcription of the letter given to The Foundation by Pamela Smith. I'm writing this to you because I failed. I'm on the run. I can't go into detail, but I needed to give this to you. I'm also writing this because you've been incredible. I've had so much fun falling in love with you. I remember our first date, out on the hill where we got lost in each other's eyes. I remember the long walks where we would worry about what colour plates to buy. I remember the petty fights where we got mad about where to put the furniture, or what we would call our kids. I wouldn't trade these things for anything else in the whole world. I've worked hard for the ring within this envelope. Please, wear it. That way, we'll be together no matter how far apart we are. Will you marry a dead man?